I passed by this old crumbling relic several times before I took the initiative to go in and check it out. 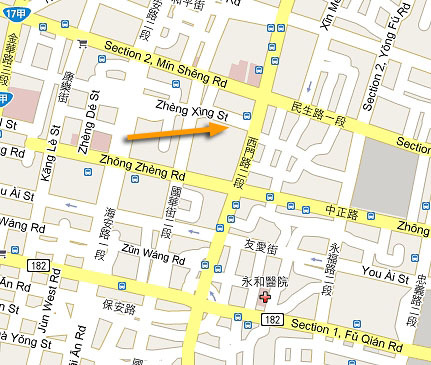 The visible facade is on a little lane called Zhengxing Street that runs between Ximen and Haian near Minsheng Road. The building particularly stands out because it is a veritable ruin stuck in amongst a modern boutique hotel and a large banyan tree. 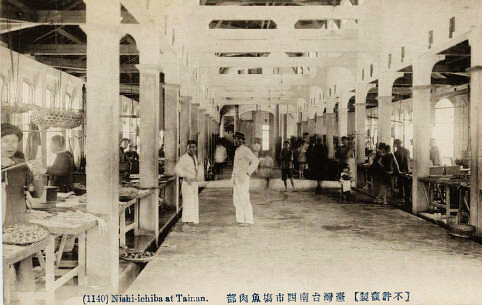 The ruins are part of the old West Gate Market (Xīmén Shíchǎng), originally built in 1908 along with the East Gate Market as part of the Japanese urbanization plan. 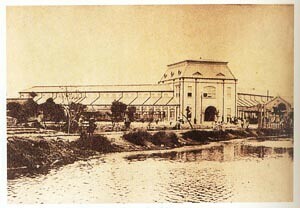 It was reconstructed in 1920, giving the facade its current appearance. The building looks as if it could crumble with the next earthquake, which would be a shame. It’s really a beautiful work of architecture and an important cultural memento that could use some love and attention. It is a city heritage property and a protective structure has been built over the roof to help preserve it from the elements until some real restoration can be done, but who knows when that will be. 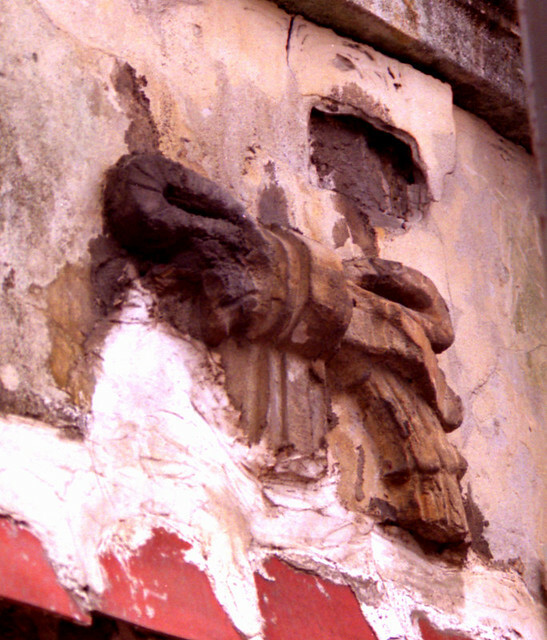 The old ruin is just part of the larger West Gate Market. 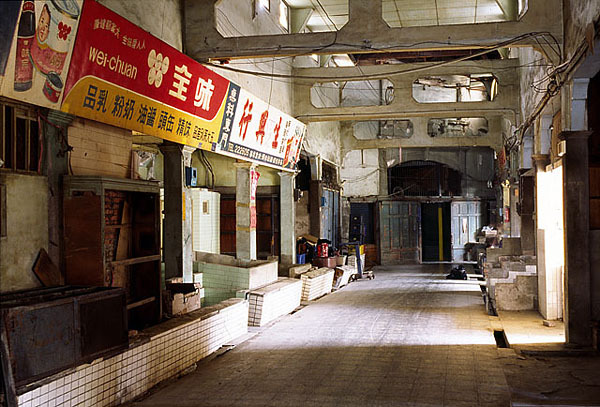 This old market extends quite far and ends up being like an underground labyrinth of existing markets. There are various exits that take you onto Ximen Road, Zhongzheng Road, or Guohua Street, but many of these exits blend into the existing storefront architecture of modern Tainan. Only the Zhengxing Street entrance and the entrance at the corner of Ximen and Zhengxing have exciting appearances. Throughout the maze you can see broken remnants of the old market, and much of the original structure still exists. The market died out in popularity about 20 years ago. For decades it was notable for its textile merchants and clothing designers, and you can still find the leftovers of this industry here. If you’re looking for textiles, a suit tailor, or someone to make a qi pao, you could brave the labyrinth. There are also some long-running food stalls and an active food market with people selling meat and produce in amongst rats the size of house cats. I can’t recommend shopping for your meat here, but it is definitely worth checking out. For historic purposes, the best part of this market is the abandoned ruin . This is a great spot for photography or just checking out the old signs that remain above the market stalls. You’ll be able to absorb some great atmosphere and ponder the history in complete solitude. Feel free to wander in and have a poke around. If you really like the traditional atmosphere here, try staying at the Old House Inn. Location: Between Guohua Street, Zhengxing, Ximen Road and Zhongzheng Road. The best entrance is on Zhengxing Street behind a large banyan tree. 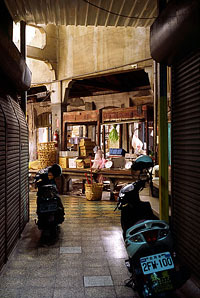 Great photos of the market. It must have been something to see when it was new. Certain sections of that market are a bit creepy, aren’t they? But there’s a good noodle stall in there where I often lunched (a couple of year ago when I was working in Tainan), and it seems like the place to go if you need any tailoring done. I also tried to get a few photos of some of the architectural/ornamental details on both the inside and outside. I wish I had a camera as good as yours. I had to climb out through some of the stalls. On one side, it was pretty tight, because the back doors of people’s houses are about 2 feet from the wall of the market. I think I scared a few little kids and old ladies that day as I was lurking around there with my camera!